I knew getting through the #101drams charitable challenge would be, well, a challenge, so I figured I'd need to find a number of different ways to try all the drams, and to keep it interesting. Sure I could probably go and smash through 60% of them in a few months at somewhere like Baxter Inn or Whisky + Alement (and don't get me wrong, bars like those are critical in helping me get through my list! ), but I think sometimes I need to mix it up a bit. 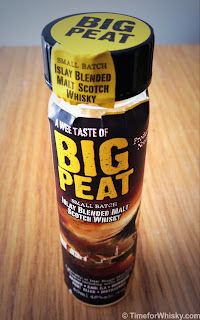 So when the kind folks at Douglas Laing & Co (who have recently split into two separate companies) sent me a sample of Big Peat (#81 on my list), I was pretty happy to be able to tick another one off the list, without just going to a bar and paying for it (and in the comfort of my own home with my own Glencairn too)! Nose: Light (for an Islay whisky). Big sea salt hit, hints of cinnamon and a slight nuttiness. Palate: Equally light on the palate, and equally salty. Smoke comes through late in the piece, but the sea air wins out here. Very smooth and very drinkable, but not the big Islay "whack" I was expecting. Finish: Initially very smoky, but not lingering like say an Ardbeg Galileo. A faint iodine taste lingers a little, but overall I'd call it a pretty short finish. Rating (on my very non-scientific scale): 88/100. Enjoyable, and very easy-drinking, but not quite what I was expecting (a lot lighter). Having said that, I think this would make an excellent whisky for someone just starting to explore the whiskies of Islay. A very big thanks again to Douglas Laing & Co for the sample. 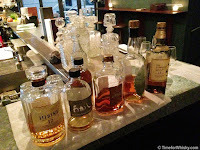 Anyone who's read this blog a few times would probably know that we're big fans of Eau de Vie - the Sydney and Melbourne cocktail bars who not only serve up arguably some of Australia's best cocktails and spirits, but are constantly pushing the envelope in terms of cocktail innovation. So it came as no surprise to hear of their latest efforts - teaming up with Victorian whisky distillery Bakery Hill (whose Cask Strength Peated Malt we're big fans of) to create a bespoke whisky made specifically for the bar's "Bobby Burns" cocktail. "There are about 20 distilleries in Speyside that would die to be able to make whisky this stunningly integrated." 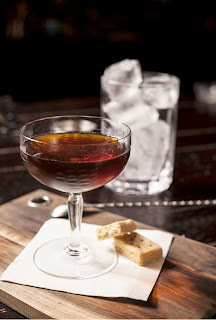 We'll be heading to Eau de Vie (Sydney) later this week to try the new dram - both neat and in the Bobby Burns cocktail. Expect a follow-up post shortly! Significant revenue growth (from just over $2m in 2012 to a forecasted $14.6m in 2015). With Australian whisky enjoying something of golden period at the moment (a period sure to continue for quite some time), it's an exciting time for Nant, who are looking to raise $5m through a convertible note offering to help fund the above. This is in addition to Nant's existing barrel sale and investment programs. 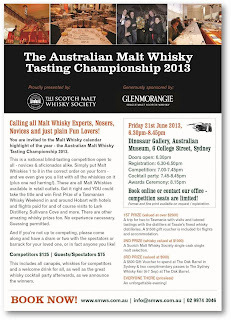 As big fans of Aussie whisky, we wish NDCL the best of luck with their endeavour. 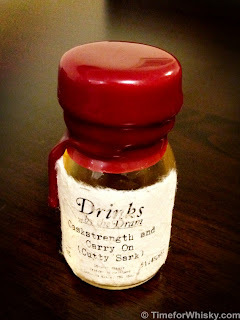 Caskstrength.net was one of the first whisky blogs I ever read, and one of the key blogs that got me into whisky blogging. I'm not sure why exactly, but Neil and Joel seem to blend (ha, blend) informative and fun posts in a way few other blogs can. A was for Arran, B was for BenRiach, and C, you guessed it, is for Cutty Sark. 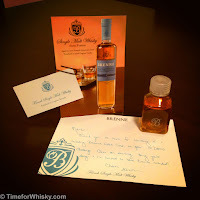 Without going into too much detail (I'll let this post do that) the boys were quite involved in the process and the whisky was made available with quite a bit of fanfare in late March, via Master of Malt. I was lucky enough to receive a sample (thanks to both Caskstrength.net and Master of Malt who generously sent me a dram - possibly the coolest little sample bottle around), and a very well-travelled sample it was too, hopping from the UK to Sydney, via America's Wang. Nose: Youthful, a hint of peppery spice, citrus, but not "sweet". Palate: Big mouth feel - ABV% is evident. Big peppery hit makes it's way up the nose. A hint of nuttiness comes through too. Finish: A hint of smoke (I didn't get it on the nose or palate, as the tasting notes suggested, but noticed it during the finish). Medium-length finish. Who knows...? Maybe in a few years it might be possible for this blog to do something similar with one of the excellent Australian distilleries like Old Hobart, Lark Distillery, The Nant Distillery or New World Distillery. 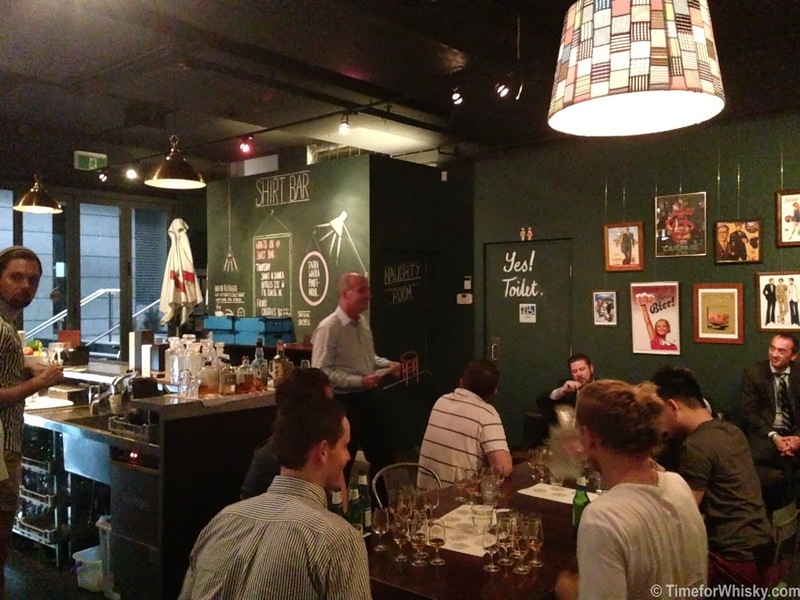 Despite being a big fan of whisky and regular attendee at the various tastings around Sydney, I'd never managed to visit The Oak Barrel nor one of their tastings, so a few weeks ago I decided to fix that, and their Nikka Whisky Masterclass seemed like the perfect opportunity. 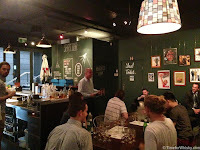 Presented by Dave Withers (The Oak Barrel's fine spirits expert, author of upcoming Australian whisky blog Native Drop and all-round nice bloke), to a packed out tasting room, the tasting started with a background of Japanese whisky, going way back to the Scotch whisky roots of the 20s and 30s. 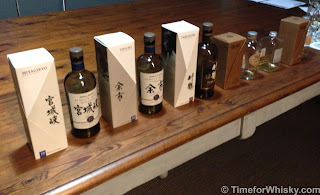 I learnt a heap of interesting facts about Japanese whisky, such as despite Mizunara oak being specific to Japan, it's only used in around 5% of Japanese whiskies due to the immense cost (most are ex-Bourbon barrels, as they are in Scotland). We also learn that Japan has a 3 year rule (like Scotland), and that whisky must be aged in oak, and contain no colouring. There were a number of whiskies to taste, and so after a bit more history (see here for more detail), it was on with the show. See below for my rough/brief tasting notes. Floral, some very light peat smoke (up to 5ppm). Reasonably long finish that keeps coming back in waves. 89/100 on the very non-scientific scale of "how much I like it". Sweet nose. Light, sweet stone fruit palate. Glazed pastries. Almost too light on the palate Pleasant finish but nothing that stands out. A very inoffensive Summer whisky! 88/100. Peated at 10ppm, evident on the nose. Palate shows some earthy, oaky characteristics. Light peat on finish - its key lingering characteristic. A few drops of water didn't change it much. 86/100. An Islay/Japanese blend. Nose - no real peat elements. Palate - definite peat, not overpowering. Nutty complexity. The finish brought about waves of very pleasant, morish peat smoke, with a hint of iodine. Peat increased all over with a few drops of water. 88/100. All up this was a great tasting, and I'll definitely be back at a future Oak Barrel event. Pretty sure I'm going to pick up a bottle of Nikka from the Barrel soon too - I'd tried it before, but now have a newfound appreciation for it (and that's what these tastings are all about - trying new and old whiskies, learning what you like)! Check The Oak Barrel's events page for details of upcoming tastings (for both members and non-members). Glenglassaugh might not yet be a terribly well-known distillery (at least, not in comparison to other Speyside distilleries), in part due to the fact that they closed in 1986 and only re-opened in 2008, but are increasingly becoming a common sight on bar menus, in part due to their unique, quality drams at reasonable prices. The Revival is the first Glenglassaugh release since re-opening in 2008, and is a NAS 46% whisky matured in a mixture of first-fill and refill casks, and finished for 6 months in Oloroso sherry casks (available from Master of Malt). 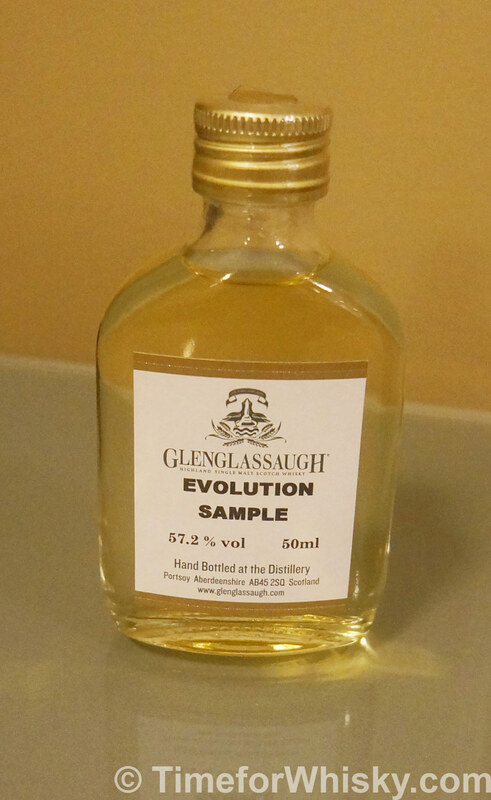 The Evolution is the next release from the distillery, a 57.2% cask-strength NAS whisky, aged in George Dickel first-fill Tennessee whiskey barrels. It's production is limited to 6,000 bottles (also available from Master of Malt). I noticed the Revival on the menu at The Wild Rover in Sydney recently, and figured I should give it a try. The Evolution on the other hand was kindly given to me by Karen & Matt from the informative and universal Whisky for Everyone blog, passed on from the distillery themselves (thanks!). 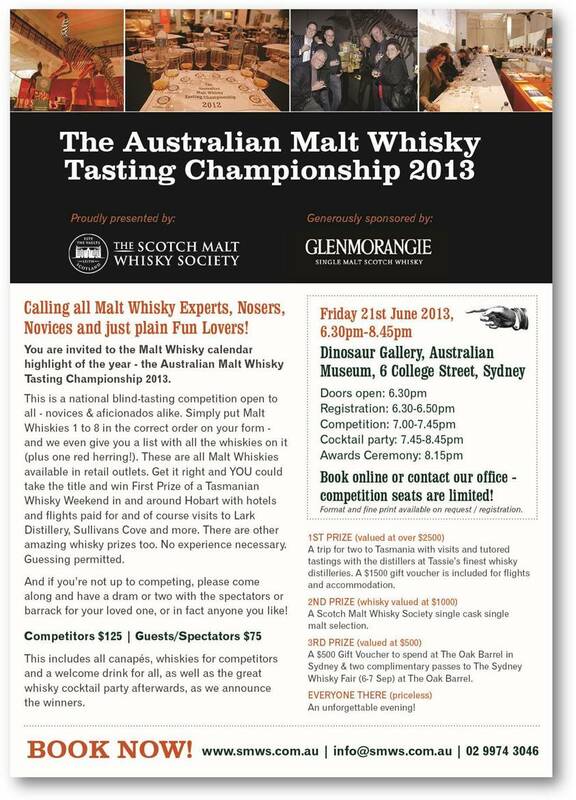 Palate: Is that...peat smoke? Almost. It's there, but it's hiding, and only shows itself late in the piece. Finish: Nutty, short, all hints of peat are gone. Nose: It's clearly young (evidenced also by the light colouring), but not harsh. Slight hints of new make, full-bodied Mezcal (like with the Revival), slight iodine scent, but not in a smoky, Islay way. Palate: Tastes more mature than the nose implies. Still tastes light for a whisky with this ABV%. Spicy and earthy initially, with hints of toffee, and the spice remaining after the rest has faded away. Finish: Biscuity, chewy, slightly grassy at the end. Rating (on my very non-scientific scale): 86/100. Looking forward to seeing how this one continues to "evolve"!